It's been a couple of months since you've heard from us, but all is well! 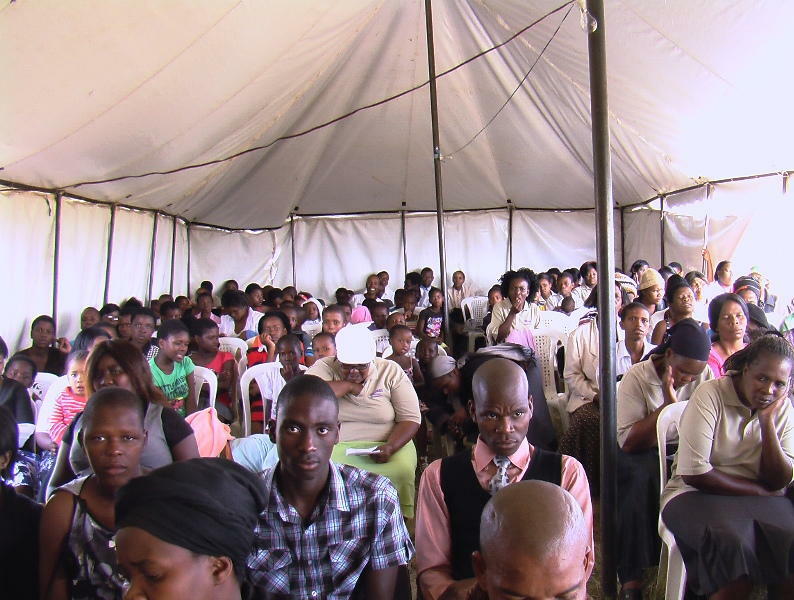 We are seeing more and more doors open to minister the Word of Life in various areas here in South Africa. We had mentioned before about starting a Charis Bible College (CBC) in Durban for the purpose of training laborers for the harvest. Due to various reasons such as: time constraints, finances, etc., on the part of the potential students, we had to reassess our method and focus in a new direction. Instead of having a traditional type of training center, where students are recruited to attend training in a specific location, we have transformed our strategy. The strategy is having a mobile system where the training goes to where the people are instead of having them come to us. This is what we call CBC Cellular where the students will be trained in the Word by watching the first year curriculum of Charis Bible College on DVDs in their own area. We will also travel and minister where such a cell school is started. This system will only be started with pastors and individuals where we have a relationship. This strategy has already begun to be implemented. We had mentioned in our last newsletter how we had traveled to Cosmo City, Johannesburg, and how the people there really received the ministry of the Word and that the pastor there wanted his people to be able ministers of the Word. Because a relationship was developed with the people while we were there, a cell school was able to be started the end of May. There are seven students at this point and each person is excited and anticipating great things as a result of the Word being planted in each heart. After the first four lessons of the bible school, the pastor was so excited that he called me and told me, "You have no idea what you have given us!" He has a plan to start more churches in his area and the school is helping to ground his leaders in the Word. He also told me that he is going to recommend the school to other pastors in the area. This could be the beginning of something substantial in starting more schools in that area of South Africa. In addition, we are also continuing to minister in churches, conduct discipleship groups and have been involved with one-on-one street ministry. There is much more news that we can share, but we will wait until next month. Some of these ministry opportunities are opening up more doors for more ministry and potential cell schools. Ministry in Zulu Town of Limehill, Wasbank! Remember, none of this is possible without you! You make it possible to reach people with the Good News of the Gospel!